Draw comics? Live in Melbourne, Australia, or have an affinity for the art coming from there? This group is for you. Anyone lived in Auckland, NZ for any period of time? I'm new to Melbourne & looking for a "Cherrybomb" style independent comics store. Ziney/underground focus? Have you checked out sticky? Degraves subway. I wish Sticky had been there when I was around... Polyester was the default choice for stockin' comics and zines. 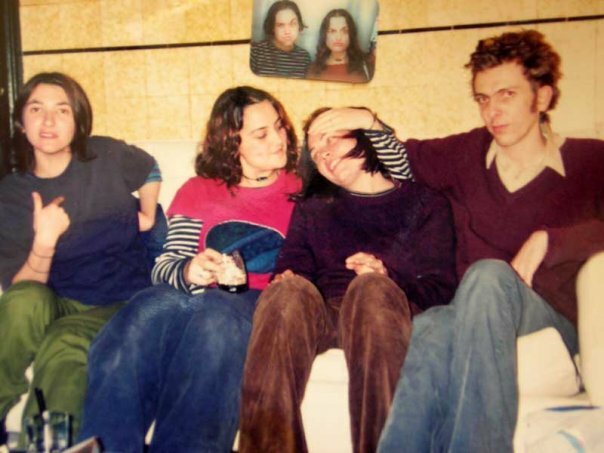 Can you spot the Melbs comix punks in this pic from 1997? oh my god man, that's a cool picture. Piccie comes from Ambs. A good sweater should last 10 years, my Dad's got a windbreaker that's going on 20. I'm a comic artist from Canada, coming to Melbourne in the new year. Where are the comics at? In the city, I mainly go to Minotaur for the big name stuff, they stock a great range of Australian stuff as well. But Sticky Institute has a few more 'thinking-persons' self-published comic stuff. You need to be a member of Melbourne Comics to add comments!